1 Drizzle oil in a heavy bottomed vessel and roast the channa dal on low to medium heat for 4 mts. Add split gram dal, pepper corns and dry red chilies and continue to roast till the dals release their flavor and turn golden. Finally, add asafoetida and lightly roast for few seconds and turn off heat. Remove onto a plate and cool. 2 Place the cooled dals and spices along with salt, dry roasted sesame seeds and peanuts in a blender and grind to make a coarse powder. 3 Store in an air tight container and serve with South Indian tiffins like dosas and idlis with a generous helping of ghee or oil. Looks yumm.. Btw how much cumin does one use for this? Sorry. Its a typo. Its not cumin but pepper corns. Have updated the recipe. Superb podi. got another combo to try.. I am too a podi freak, so we are on the same boat. This podi looks awesome and mouth watering. Looks yummy!! You made me hungry!! Very nicely presented. Love the pictures!! Do you use whole or split black gram dal for this recipe? Thank you. I used Split gram dal/minappapu. Hi Sailu, your recipes are very good and I am following your tips for cooking. I have no time to reply for all those recipes that I have tried, sorry. 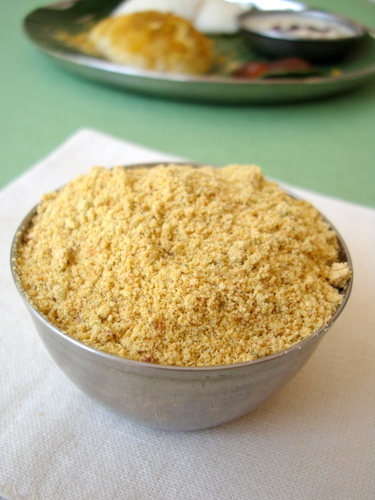 I very much liked this podi for idlis. I am bored with the usual chutneys. Kindly clarify my doubt. My children very much like punukulu like small balls sold at Bajji’s & Pakodi’s bandi and we buy them regularly. Yesterday, being a Sunday, I tried to prepare punukulu with mina pappu and rice in equal quantities and soaked for 6 hrs and ground it to a smooth paste, after mixing salt and soda I prepared small balls. After dropping them in hot oil, but after few seconds the balls lost shape and the oil split on to me. what’s the cause I don’t know? You have to add 3 or 4 cups of raw rice to 1 cup urad dal. You should not take equal quantities. a lovely combo.. what else is requuired… I would add a cup of dried curry leaves and grind them too..
lovely and very nice picture. i will try this. 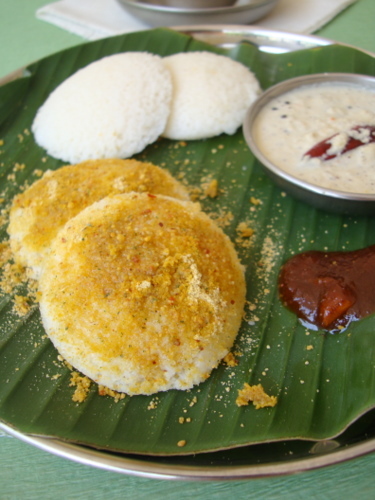 I tried this podi.It came out very well.I am new to cooking.Your recipies are very explanatory.so as a new bee it is easy for me to follow up.Thanks once again. Trying out very soon! my alltime favourite!